BECOMING A MORNING PERSON | RAWR BOWS. I am much more productive in the morning, so waking up a couple of hours before class to get some work done makes a huge difference in my productivity. Not only that but I hate hate hate being rushed to make it to my 9AM lecture on time. A few months ago, a couple of weeks after starting uni, I decided to start waking up earlier to make the most of the day. 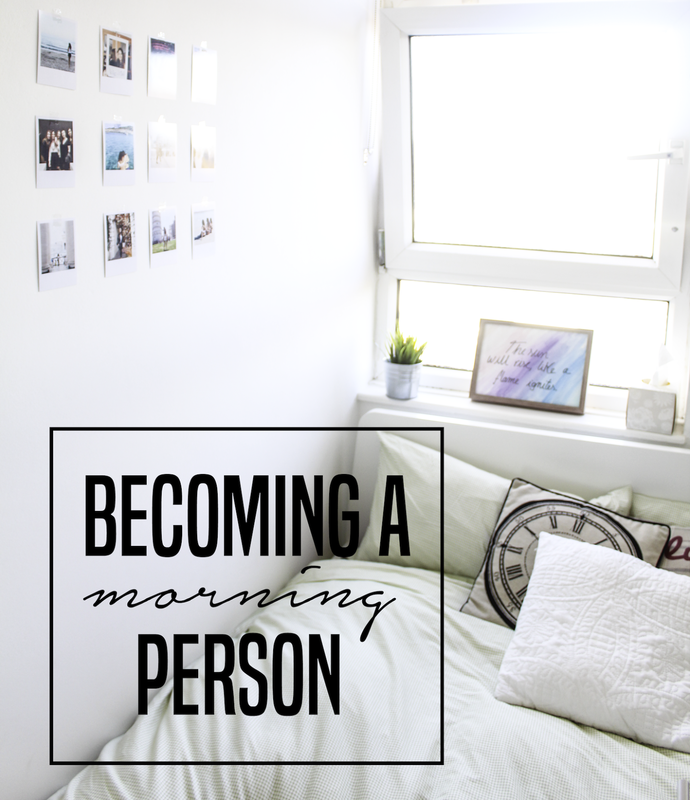 I personally think everyone can be a morning person if you train your body and truly want to start making the most of our mornings. Of course, some people prefer to wake up at 11AM and work late at night so it just depends on what you prefer! If you are trying to be a morning person or trying to get out of bed before noon - maybe it’s one of you're New Year’s resolutions (HOW is it almost 2017?? SERIOUSLY!) - here you have some tips that helped me. I used to always wake up at different times, depending on when my first lecture or appointment was. Now, I wake up between 6:30AM and 7:30AM every day even if I don’t have to go to uni until 11AM. After a few weeks, your body will get used to it and getting up will be much easier. Try to wake up early-ish on weekends too, as painful as it might be, it will be worth it! Going along the same lines, if you’re waking up at the same time every day you should also go to bed at the same time if you want to get 7-8 hours of sleep (which you should). I used to go to bed at 10PM every day but I realised that getting more than 8 hours of sleep made me even more tired. Now, I go to bed between 10:45PM and 11:30PM. Going to bed at a similar time every day makes it much easier to fall asleep since your body is “expecting it”. Whether it is reading magazines whilst having your coffee, doing yoga, cooking a nice lunch or having a proper cooked breakfast. Find something that makes you want to get out of bed in the morning. For me it is to be able to have my coffee in peace and to make a smoothie without having to down it. I also love how quiet everything is in the morning! I genuinely wouldn’t be able to get out of bed at 7AM during winter if I didn’t have the heating on. Mine is set so that it turns on before I wake up, this way I never wake up to a freezing cold room which makes me want to stay under my duvet forever. I never never never close my blinds. There is nothing I hate more than waking up to a dark room. When your room is bright and you can see the sun rising, getting up is not so hard. Moreover, your body releases a hormone that biologically makes you sleepy when it’s dark so that doesn’t help!